Growing up in church, it seemed like we were always singing the same 20 songs. When I visit my childhood church today, they are still singing some of those same songs. Is this a bad thing? Not necessarily. 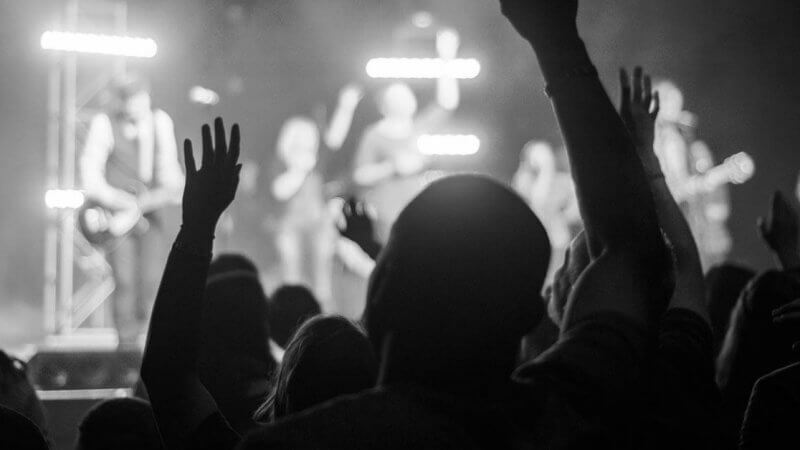 But, it does beg the question, how often should worship leaders be introducing new songs? Although there is no perfect answer, there are several things that reveal if we are too far on one side or the other. If the worship band isn’t fluent in all the songs on your set list, there are too many ‘new’ songs. Let’s face it, if the band can’t play it well, the congregation can’t sing it well. This may be somewhat acceptable the first week you introduce a new song, but if there are songs every week that the band struggles with, you have a problem. If you go more than a month without repeating a song, there are probably too many songs on your list. You see, people in general listen to the same set of songs every day. And at best, it may take a week or two for them to sing along. If your congregation only hears a song once per month, they may never catch on before it rotates out of your list. You might also enjoy: How often should I schedule the same song? If you get comments like “We are singing that song again?” from the worship team, you might be stuck in a rut. Of course, there are those who will make this comment if you schedule a song they don’t like more than one week in a row…but other than this, there is most likely a legitimate concern. If you are singing the same set of songs you were singing 10 years ago, it is time for some new material. There are songs that stand the test of time, but I would venture to say this will be 3 songs or less in your list. Everything else will serve its purpose for a year or two, and then be retired. If your worship team is bored and unchallenged, it is time to introduce a new song. It is easy to get lazy and stick with the same 20 songs so there is no struggle at rehearsals. But, eventually the worship team will get bored and disengage. And if the worship team is not engaged, the congregation will not engage. So, how often should I schedule a new song? I have found that bringing in a new song every 4-6 weeks works best for my worship team and congregation. That being said, I don’t believe there is a set-in-stone schedule that every worship leader should stick to. You should pay attention to your congregation and worship team and make adjustments as needed. How often do you schedule a new song? I believe it is a church by church situation, also a season by season situation. There are times I have introduced a song and before I even get through the first verse the congregation is singing louder than the band, that is a hit and leaves room to intro another new song quickly as that song is already known. Sometimes in a series we will do a theme song; every week the same theme song, This allows for the introduction of a new song a little quicker than usual. The ultimate gauge for me is the congregations response. Some churches pick up real quick others are a lot slower. Just my two cents worth. I think something to consider is the philosophy of why you choose the songs you do. Do you try to have every song in the set focus on the sermon topic, or do you choose songs because the congregation knows them and they speak to them? Or with some other intention? This will affect the amount of new songs, as well. I try to add a new tune at least once a quarter. That gives me plenty of time to see if it works and whether or not to keep it or toss it. If we toss it, it gives plenty of time to choose a new one or to really drive that song home with our people. It’s really a topic that has no true correct answer. It’s also about knowing your people and how well they respond to a new song. We average about 10 new songs per year. Summers are always busy with people rotating vacations, so we usually don’t do much in the way of new music during those months. This works well for us. I ussually introduce a new song about every month problem I have is deciding when a song should be retired. I guess you have to qualify what type service you are doing…. a modern, contemporary (I hate that word) service, or a more traditional/blended service. I understand what you mean by using the same songs too often, but we use a lot of hymns and there are so many to pick from, doesn’t seem to be a problem. I do throw in a newer, more contemporary song now and then, and worship songs from the 80’s and 90’s are still new to my congregation… I do vary the selection too, but rarely have this issue because of the TYPE of service we do. We don’t do the same handful of songs over and over, either. But I also don’t worry about finding and introducing the latest and greatest very often….depends on your church and the style of worship you do. Just wanted to clarify that. Awesome info Kade!! It’s nice to know I’m on track with how often I’m introducing new songs. We just introduced a new one last Sunday by Kristian Stanfill SALVATIONS TIDE. Even though we had no one to run the monitor with words on it this particular Sunday , I received a ton of great feedback from the congregation which was great! I absolutely LOVE introducing new music! Our Congregations has been doing this thing that we rotate musicians every week since last november. Its a bit of a challenge. So now theres at least 3 different people leading on Sundays. We all play similar styles but when it was just 2 bands we both played completely differets songs. So now that we are mixed, most if the songs we play are completely new to some and to the others no. I like to put a new song every time i lead which ranges from every other week or the 2nd week of the month and then the last. Which usually are songs that are well known but no one has wanted to play. I feel like this gives them a small challenge but the problem is that some of our musicians wait til the last minute to practice but the others know the songs almost fluently and get mad because the others dont take time to practice and when that happens our pastor questions the song. But i feel like if we all took a few hours a week to learn it, rehearsals would be way better and our pastor woulnt questions it. What can i do to help them in this area? Kade, Great stuff once again! We have a “song cycle” that was created around the ideas by Jon Nicol in his book “The Song Cycle” (clever, I know). We rotate songs through a process, much like radio DJs rotate songs through. You play the new song more often, as well as the songs that are connecting with your congregation, and then you cycle it down in frequency, until the song is eventually retired. Some songs last long on the rotation, others cycle down much faster. He even outlines having categories for hymns, or “classics”, so the structure works for whatever style you have in your church. I lead both a contemporary service and a traditional service, and I would like to do the cycle not only with the contemporary service, but also with the hymns and “Getty songs” that come along for the traditional service. I’ve found that the forced “repetition” has allowed the congregation to really become familiar with the songs, and has allowed us to get away from reading words, and more to the heart of worship. What is neat is that often my songs chosen (well in advance) don’t “directly” match the sermon that day, but the various truths spoken in the songs help support the truth of God, and surprisingly (or should I say not surprisingly) God reveals something about him that supports the sermon message as well. I am a big supporter of long-term planning for your musicians, and I believe God has worked and will continue to work through the music that is chosen. Thanks Kade for all your hard work! Great stuff! Thanks for sharing your strategy as well as Jon’s resource! We have this worship team policy to include only one new song in our set list per week…however they suggested 3 songs in my lineup that i havent sang before so i declined to sing them… during my turn, with 5 songs in my set list they told me three of them are new coz they havent played and sang them yet so they told me to stick with our one new song policy per week…what do you think of this policy? Is it ryt and fair? We don’t really have a ‘policy’ regarding new songs, but we do have a guideline. And ours is to introduce a new song to the church no more than once per month. In my experience, even one new song per week is too much for the congregation. They need things that are familiar, otherwise they tend to become spectators instead of participating.